Billy Warsolder, (Cahuilla-Apache) a world renown Indian artist whose paintings are displayed in some of the best art galleries in the world. Studied at Chicago Art Institute and Institute of American Indian Arts in Santa Fe. He has been a strong advocate for Indian cultural, spiritual, social and political matters and is highly respected in Indian Country. 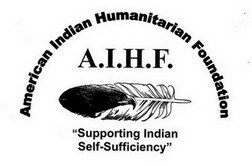 Billy has been performing humanitarian projects helping Indian people for over 3 decades. He has an art gallery in Idyllwild, California and annually conducts numerous art shows at galleries and museums around the country. Over the many years he has received numerous prestigious awards for his art work. He has appeared on numerous TV & Radio shows regarding not only his art, but his strong advocacy for Indian Artists Rights, Civil Rights and Humanitarian projects. Billy Warsoldier, our former President has crossed over into the spirit world. Our condolences to Billy Warsoldier's family. Billy was my very good Friend, Mentor and fellow Warrior for our people. His ideas on activism was uniquely blended with an Indian culture perspective. He bowed to no man only the creator. Further, he was a world renown impressionist artist. His art work hangs in many places all over the world. The only thing that came before his art was his love of his people and culture. He had a heart larger than most could realize, and a fighting spirit that came out in his art and his activism. I loved him for who he was and will miss his voice of reason among a world of busy noise. January of this year he took his final journey and is now sharing stories with his ancestors.